MANILA, April 25 -- Two leaders of the House of Representatives on Tuesday criticized the filing of a case against President Rodrigo Duterte before the International Criminal Court (ICC), dismissing it as another attempt to discredit the government. 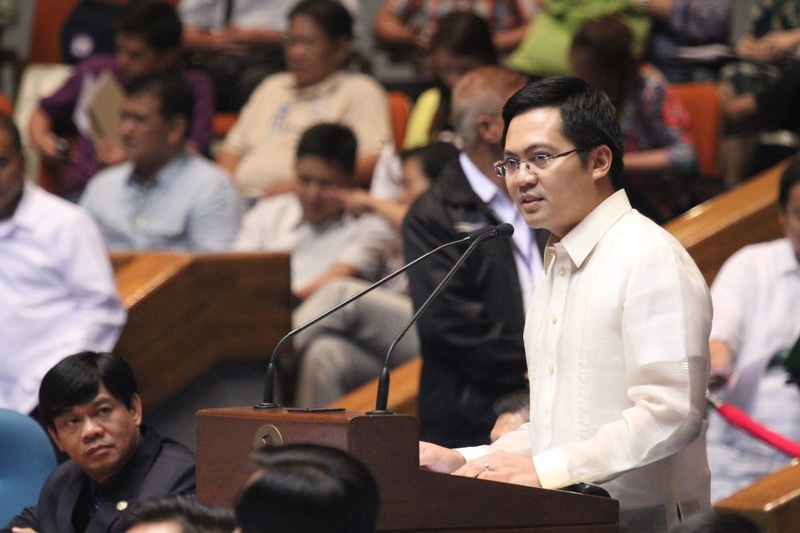 House Appropriations Committee chair and Davao City Rep. Karlo Nograles said the complaint, which was filed by self-confessed hitman Edgar Matobato’s lawyer Jude Sabio, is part of a “ploy” to put the President in a bad light before the international community. Nograles pointed out that the complaint has no “real legal basis” and “bereft of any hard evidence” for the prosecution of President Duterte over crimes against humanity. "The case filed against the President in the ICC, as most Filipinos know, is the latest step in the destabilization plot against the Duterte administration. This is complete waste of time because any lawyer would say there is no basis to prosecute the president for alleged crimes against humanity," Nograles said. The Davao City lawmaker said the objective of the filing of the case is to topple the Duterte administration and generate sympathy to weaken the Chief Executive’s “overwhelming popular support”. Nograles said the ICC has no jurisdiction to prosecute the President because existing Philippine courts remain “very credible and functional”. "The legal and judicial system in the Philippines is functional and equipped enough to deal with the complaints. It's not as if we are so helpless and powerless a state that we need the ICC to come in and acquire jurisdiction over us," he explained. For his part, House Dangerous Drugs Committee chair and Surigao del Norte Rep. Ace Barbers dismissed the complaint as a "propaganda for self-aggrandizement." "The International Criminal Court complaint is nothing more but an attempt to grab the headlines and enjoy his three minutes of fame at the expense of President Duterte and Speaker Alvarez and all other accused,” said Barbers. Barbers noted that the complaint is “bereft of merit” and insufficient in evidence considering that there is no direct link proving that the President committed the crimes being charged against him. "Atty. Sabio offered as evidence the findings of the Human Rights Watch, one that is not even a fact-finding body," Barbers added. The Surigao del Norte solon said that despite plots to besmirch the current administration ahead of the country’s hosting of the ASEAN Summit, Duterte still enjoys solid public support and his reputation is as ”solid as the Rock of Gibraltar”. Sabio filed a 77-page complaint against the Chief Executive and 11 senior government officials before the ICC on Monday, accusing them of crimes against humanity through administration’s aggressive campaign against illegal drugs.